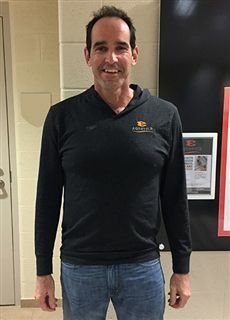 For more than 30 years, Coach Christian Bahr has competed, coached, or covered every level of the sport, from age group swimming to the Olympic Games. Coach Bahr started swimming year-round when he was eight. He went on to swim in high school and college, where he was an NCAA All-American and multi U.S. Nationals finalist. Coach Bahr represented the United States at the 1997 World University Games. Coach Bahr came to Ensworth in 2012 after more than a decade of coaching with The Bolles School and Bolles School Sharks in Jacksonvlle, Florida. His swimmers have: set state and national records, made the U.S. National Junior Team, qualified for U.S. Olympic Trials, and swum in the Olympic Games. Coach Bahr has coached on deck at meets ranging from local club meets to Olympic Trials and the 2012 Olympic Games as a coach with Brunei Darussalam. 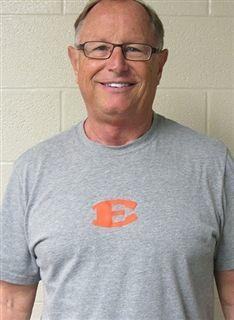 Joe Goeken brings decades of experience to Ensworth Aquatics. The early part of his coaching career was spent with the Nashville Aquatic Club. Later, Coach Goeken went on to become the head coach at The Baylor School, leading them to eight state championships. 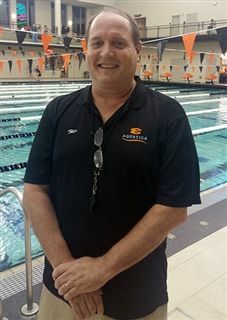 His other coaching credits include stops at the University of Florida, The Bolles School, and the Greater Pensacola Aquatic Team. Coach Goeken has trained athletes at the highest level of the sport, coaching for Brazil at the 2000 Olympic Games where two of his swimmers earned medals in the 4 x 100 Freestyle Relay. That experience, combined with his commitment to helping athletes at all levels succeed, is a great asset to both the team and the greater Ensworth community. Coach Glenn McCall has been part of competitive swimming either in the pool, on the deck, or as a parent for more than 40 years. He started competitive swimming at a later age when he was 12 and wasn’t very fast. But he learned the basics, was passionate about the sport, had fun, worked hard and went on to enjoy a successful competitive swim career at SwimAtlanta and later The University of Texas at Austin. During his time at Texas, he was a multi-year NCAA finalist, All-American, and U.S. Swimming National finalist in backstroke. In the 1984 U.S. Olympic Trials, he finished sixth in the 200m backstroke, earning a Top 25 in the world ranking and was a member of the U.S. National Team. He was also a member of the U.S. Junior National Team that competed in a U.S. vs. USSR Dual Meet. 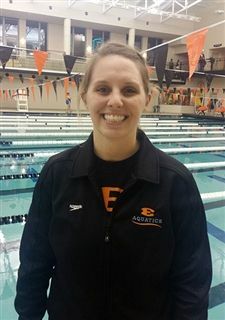 Aside from a career in human resources, Coach McCall has coached summer league, middle school and master's programs in Austin, Texas, and Nashville, most recently with Nashville Aquatic Club. He is married to former swimmer and fellow Longhorn Claire Sanders McCall and is father to Will and Rob. Coach McCall is passionate about swimming and believes in active coaching, giving direction, and complimenting effort regardless of level. In addition to the fundamentals of the sport, he values a healthy atmosphere of inspiring young athletes to reach their potential while having fun and balance in their lives. He believes there are no limits for an athlete’s goals in the water and in the classroom, and feels there are so many life lessons learned through swimming. Coach McCall's favorite movie? Rocky because it embodies passion, hard work, grit and a dream. Marli McIntire’s appreciation of athletics and hard work stems from nearly 20 years of classical ballet training. After pursuing dance in college and graduating with a nursing degree from Samford University, Coach Marli became a pediatric trauma nurse. She discovered her love of swimming when her own children took up the sport, and she began swimming with Masters. She quickly realized that coaching provided an opportunity to interweave her interests in medicine and kinesiology with the artistry of body awareness and control. Coach Marli believes that through consistent development and reinforcement of proper technique, every athlete – regardless of innate talent – can learn how to swim correctly, setting the stage for achievement. She seeks diligently to ensure that lessons presented to swimmers can translate into enduring character-building principles in real life. 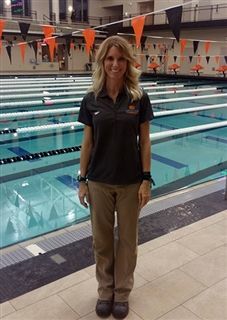 Coach Marli’s commitment to excellence and detail has allowed her to develop dozens of Age Group Sectional swimmers and Age Group Championship top 10 finalists, multiple Southeastern LSC champion swimmers and numerous high point winners and runners-up. She has coached several previous 10-and-under age group teams to consecutive First Place Southeastern Team Championships. * ENCOURAGE athletes to compete with healthy, competitive, classy attitudes. I believe that partnerships with parents are critical to coaching effectiveness. Parents know their children best, and they often help me recognize personality traits and learning styles unique to each swimmer. I enjoy coming alongside parents to support their swimmers and encouraging them as they allow their athletes to claim the sport for themselves. I am committed to personal development through exploration of innovative teaching methodology. I LOVE studying different disciplines to find new swim applications. I strive to listen to and learn from swimmers, coaches, and families. I am an ASCA Certified Stroke Technician, and I completed the courses and tests for ASCA certifications through Level 4, and U.S. Masters Swimming Coach requirements for Level 2. Dan Powell may be new to coaching, but he is definitely not new to swimming. Dan started swimming when he was six years old after he asked, “You mean I can ride that bus if I join the team?” He went on to set a Kentucky High School State Record in the 50-free that stood for 10 years; he competed at Western Kentucky University, a program his father started and went on to lead for 40 years; he qualified for the NCAA Championships, the U.S. Olympic Trials, and finished in the top eight at U.S. Nationals in the 50-Meter Freestyle, an event in which he was ranked 23rd in the world. Dan has been fortunate to swim or work for a number of great coaches. He trained under Frank Busch, who is now the U.S. National Team Head Coach. Dan was hired out of college to work alongside the legendary “Doc” Counsilman at Indiana University, where he filmed and critiqued the strokes of U.S. National Team members. Despite pursuing a career in business, Dan never strayed far from swimming. He volunteered to coach the Vanderbilt Men’s Team when the school dropped the men’s program. When he started a business filming triathletes and age group swimmers underwater he discovered a passion and talent for helping kids get better. 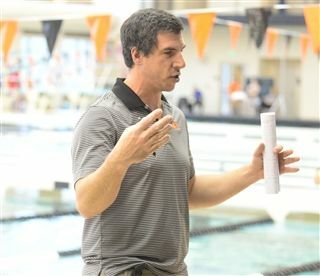 He brings that passion now to Ensworth Aquatics, combined with decades of great experience. "My elder sister came up through the same program I did, one with an emphasis on continual improvement. While I had immediate and sustained success, she took years to develop. In fact, she never won a single race—not even a heat—until she was 14 years old and after eight years of training and racing. She went on to receive multiple college scholarship offers, swam four years in college, and set three school records. Through it all she enjoyed the process, enjoyed being on the teams, and maximized her talent in a way that the people who gave up early never did." "Swimming is a fun sport. It’s even more fun if it is a team sport. I strive to build a sense of community that fosters an expectation of personal excellence and unwavering support for your fellow teammates. All of them, all the time." Tiffany Smallen can be described as positive, energetic, and cheesy. Tiffany is a Cleveland Ohio native, where she started swimming competitively at the age of 15 for her high school team. During her first year swimming, she was a part of the record breaking team for the 200 FR Relay, and their record still holds today. Tiffany went to Florida Southern College to focus on her education. During her junior year she took an opportunity and became a part of their swim team. She joined under Coaches Duncan Sherrard and Michael Blum as they started a new dynasty for the Moccasins, and Tiffany was awarded the Senior Leadership Award after her last season. Tiffany understands the determination and dedication it takes to create something new and rewarding; during her swim seasons, she balanced work study, giving tours of the school and being a member of a sorority. Shortly after Tiffany graduated with her B.S. in Biology, she moved to Nashville with her now husband, Kyle, who is a Nashville native. Tiffany has worked at the Bellevue YMCA for over four years. She started off in aquatics where she coached their masters swim team, lead stroke clinics for the kids, and taught swim lessons, both group and private. She has spent the past two years teaching group fitness (bodyattack and bodypump). She loves being part of a team and leading her classes through challenging workouts and eventually to their fitness goals.